One of our latest work, Desert Grove database management system, based in UAE, was first a start-up idea back in September 2016. The main founder, Mr. Michel Kalai came to our teams, as we had done a few projects with him before. Comelite teams and Project Department worked closely with Mr. Kalai to analyse, guide and prepare the foundations of Desert Grove database management system. At the start, the client initially needed something flexible, with the ability to build on to it, and at the same time, displaying uniqueness and elegance. As explained in the intro, the Desert Grove story began with a simple idea: enable anyone to create the perfect environment to enrich one’s personal life to the fullest. As most start-up ideas, our teams combined with the client, had to do define goals, targets, analyse the flows and much more. Finally, after 3 months of planning, going back and forth, the plan was ready. The Desert Grove application was based on Laravel, a PHP framework popular for speedy development, simple syntax pattern, database flexibilities and secure mechanisms. Providing a smooth interface for the custom development, Comelite teams took advantage to base the Desert Grove application on this MVC platform, with its function-rich libraries. Needless to mention, the Comelite teams also prepared the main company logo with authentic design, and the divisions logos, business cards and letterheads. Desert Grove consists of 4 main divisions, Spas and Pool Construction, Landscaping, Design & Consulting, and Retail. 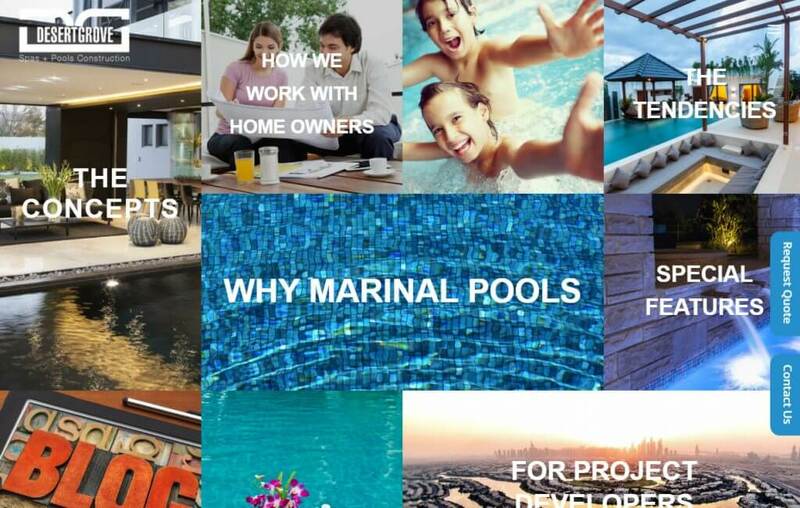 Customers coming to the web application have the easy experience of choosing from swim spas, movable floors, marina pools and other services. The application includes many forms allowing the user to custom apply for their exact request. This might include pool repairs and maintenance, cleaning, or spas and movable floors to the exact dimensions you will need. The forms, the blogs page, the newsletter as well as all the website pages have been integrated with Hubspot Marketing/Sales platform enabling the company to track and measure visits and interactions from potential clients, in order to improve conversion to sales. The project had a lot of challenging curves, in which each page had its own layout so we had to use a unique system to accommodate the different themes and variables of each page. First we had an HTML/CSS design for each page, but later decided to develop the project on October CMS, based on Laraval. October CMS would allow us this flexibility to give a custom layout per page, as well as to allow the client to make edits in the backend area. Our teams also developed a custom October CMS module for the customer area and project management, allowing the client to create customer accounts, update the project status and more. The language module was also modified to accommodate the application, as it was a bilingual application. 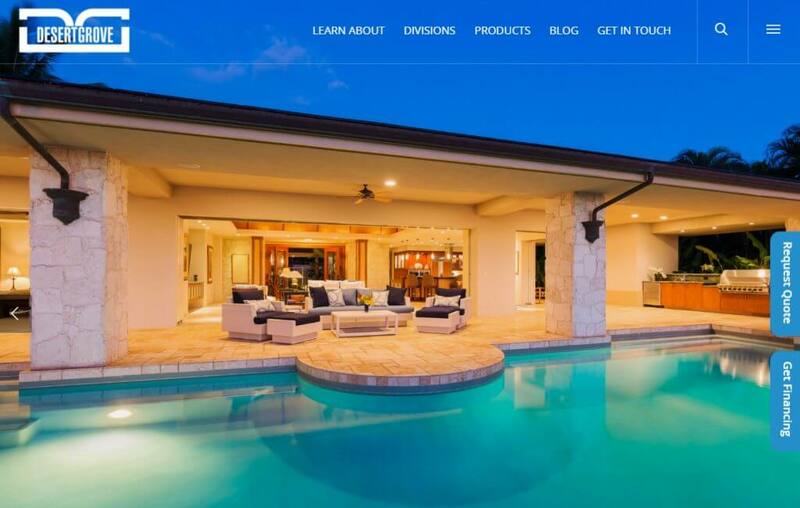 It was a pleasure to work with Mr. Kalai on this long-term project and Comelite teams wish the best of luck for the Desert Grove business, and if you need a pool or spa, or services in this industry, make sure to pay a visit to this website!